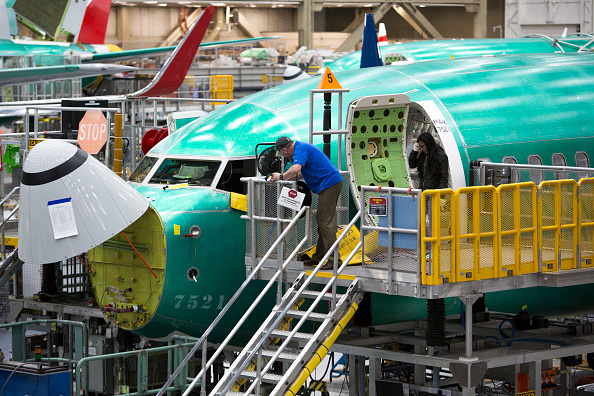 Boeing Co. said on April 9 orders nearly halved in the first quarter and the planemaker handed over far fewer aircraft, as it struggles with a worldwide grounding of its best-selling 737 MAX jets following two fatal crashes. Boeing’s first-quarter deliveries of the 737 planes tumbled about 33 percent, pushing total deliveries down 19 percent to 149 planes from a year earlier. Just 11 MAXs were delivered in March. The company froze deliveries of the aircraft in mid-March after a fatal crash of an Ethiopian Airlines jet led to the global grounding of the narrowbody model. Deliveries are financially important to planemakers because that’s when airlines pay most of the money. Boeing said on April 5 it would cut monthly production of the 737 MAX jets by 20 percent, starting mid-April, without giving an end-date. The 737 MAX, a new variant of the 737 family, is central to Boeing’s future in its battle with Airbus and the likely workhorse for global airlines for decades. The Chicago-based airplane maker had been ramping up MAX deliveries, with the planes accounting for nearly half of the deliveries in the last few months. Boeing’s shares were down 1.4 percent at $369.50 in afternoon trading.